It might not be the easiest thing you ever have to do, but there is a lot to be said for planning ahead to that day when family and friends gather to celebrate your life and attend your funeral. · if you also pay in advance for your planned funeral arrangements, you relieve your surviving family, friends and loved ones from some difficult and potentially agonising decisions. The good news, therefore, is that there exist ways of both planning every last detail of your final send-off and, by paying for it all in advance, not only saving your relatives and friends from some difficult decisions but also paying at today’s prices for expenses that are almost certain to have risen sharply when the time actually comes. That answer comes in the shape of funeral insurance – which may take two broadly different forms. The very concept of life insurance was historically founded on the eventual need to pay for someone’s funeral expenses. The website Wikipedia refers to the “burial clubs” that were common even in Roman times. The concept has become considerably more sophisticated of course these days and so-called whole of life insurance policies guarantee an agreed lump sum cash payment upon the insured’s death – whenever that might happen. 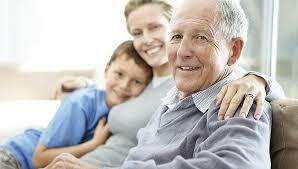 · passing on a cash settlement by way of a gift to your dependants and loved ones. On the downside, you will not be able to secure the cost of your funeral at today’s prices, but the lump sum payment your beneficiaries receive may typically help towards the cost. An alternative form of funeral insurance is offered by the prepaid funeral plan. Just as the title suggests, this involves your planning the details of your funeral by making all of the arrangements you envisage and paying the cost of those arrangements in advance of the event itself. This gives you the satisfaction and reassurance that your last wishes may be met in the manner you intended, but payment in advance also means your taking advantage of today’s prices and avoiding the inevitable increase in costs that subsequent years are likely to bring. National providers of such prepaid funeral plans are typically members of a self-regulating body called the Funeral Planning Authority, which implements a code of practice designed to ensure that members maintain high standards of professional conduct in their dealings with clients and also safeguard all monies paid in advance by customers, so that the intended, planned funeral arrangements proceed as intended. Prepaid funeral plans, therefore, offer an alternative form of funeral insurance by which future costs are pegged to present day prices and the sums paid in advance for this service are suitably protected against inflation or the financial failure of a provider.